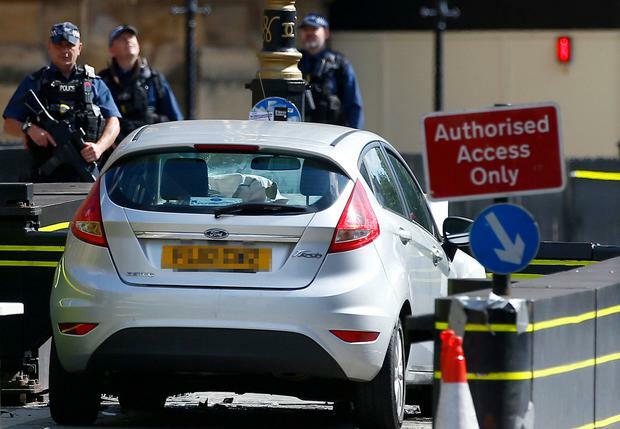 A terror suspect arrested after a car crashed into a barrier at the Houses of Parliament in London at high speed is not believed to be known to the security services, police have said. At least three people were injured when the silver Ford Fiesta hit a group of cyclists and pedestrians waiting for traffic lights to change. Witnesses said the car mounted the pavement on the wrong side of the road at up to 80kph and travelled around 40 metres before hitting a bollard. Westminster was in lockdown as armed police swarmed the scene yesterday morning. Witnesses said they thought “it looked intentional – the car drove at speed and towards the barriers”. Scotland Yard said a man in his late 20s was arrested after the incident at around 7.30am. The suspect was taken to a south London police station, where he remains in custody on suspicion of terrorism offences. He is not co-operating with officers. The Met’s counter-terrorism command is leading the investigation. 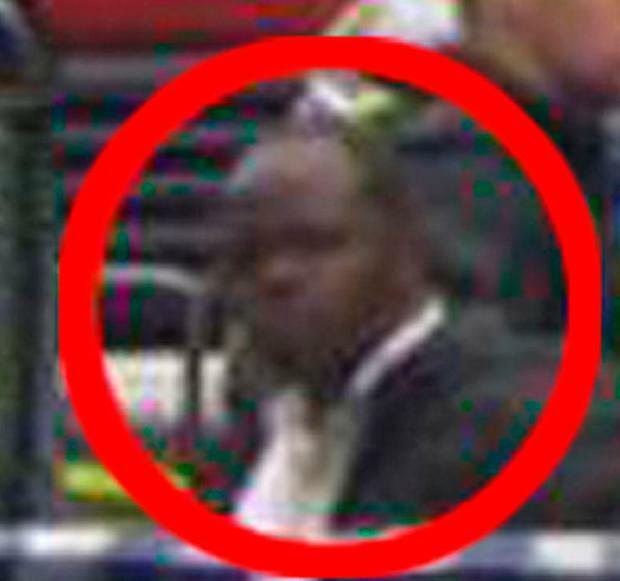 Officers are seeking to formally identify the suspect, but “don’t believe this person is known to either MI5 or counter terrorism police”. Images showed a man being led away from the vehicle in handcuffs after armed police surrounded the car. No one else was in the vehicle and police said no weapons had been recovered from the scene. Speaking outside New Scotland Yard, Neil Basu, the Met’s assistant commissioner for counter-terrorism, said police and the intelligence services were working to establish if the suspect was part of a wider terror cell and whether he had received assistance from others in planning the attack. “It appears to have been a deliberate act, but what the motive was we can’t answer at the moment. “We haven’t formally identified the suspect, but we don’t believe he’s known to MI5,” Mr Basu said. He added that the attacker was not being pursued by police before he struck the entrance to the Palace of Westminster and that the blue lights seen behind him in footage of the incident were those of an ambulance coincidentally answering a separate emergency call. A witness to the incident, Barry Williams, said the car had accelerated towards the barrier after hitting the cyclists. “I turned round to see a silver car heading towards the cyclists on the wrong side of the road, they were parked waiting for the lights to change,” he told the BBC’s ‘Victoria Derbyshire’ programme. “He hit the cyclists then swerved over towards where the safety barrier is…. and accelerated and hit it at quite a high speed. Donald Trump yesterday urged tough action against the “animals” behind the suspected terror attack. Mr Trump’s comments follow controversial remarks in the past surrounding terrorism and crime in London. In July, Mr Trump used a newspaper interview ahead of his visit to Britain to blame Sadiq Khan, the mayor of London, for terror attacks in the capital. “Take a look at the terrorism that is taking place. Look at what is going on in London. I think he has done a very bad job on terrorism,” he said.